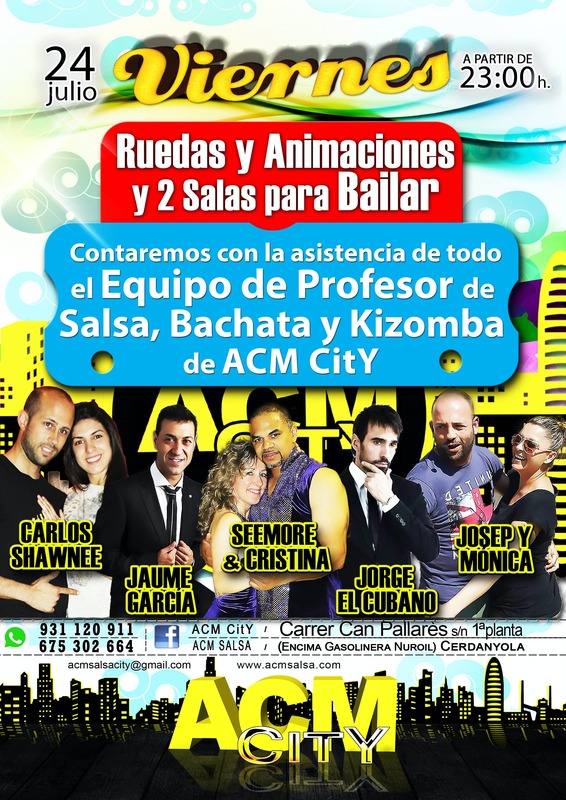 On Friday July 24 prom dinner will be held with all students in the school ACM City and anyone who wants to have a fun time active "salsa" interaction. A good way to meet and know. And of course, also sociabilizarnos and expand our circle of friends. And to end the night, from 23: 00h, bash in style with the participation of all our teachers. To know them and spend luxury! Do not miss your wheels and animations! So .... ACTIVENSENNNN ! !